Height: Sets the height of each editor. Background: Specifies the background color of the editors. HeaderForeground: Defines the foreground color of the editors header. HeaderFontSize: Specifies the font size of the editors header. 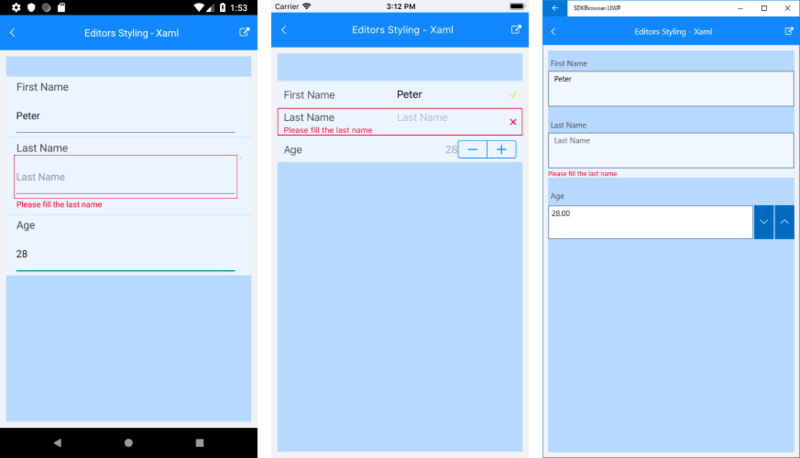 Sample examples demonstrating editors styling of DataForm control can be found inside the RadDataForm -> Styling section within the SDK Samples Browser application.